Finally, after a year of being the latest version of Android, KitKat has made its way to local brands in the country. And first on the list will be Cherry Mobile Urban. We all know that Google will be taking its wraps off their latest Android version anytime from now, purportedly Lollipop. But before they do, we’ll have to feast our eyes with the Urban. Formerly, it is given thought that newer version of Android (previously Jelly Bean) is only available for higher-end devices with bigger RAM and faster processing speed. 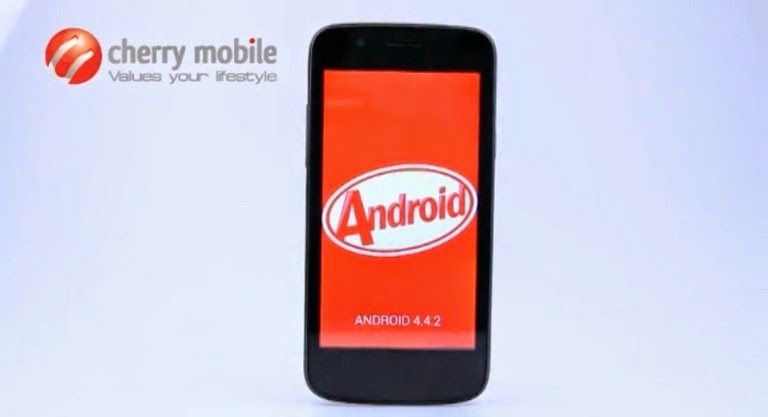 Google addressed this issue by releasing KitKat through minimizing the operating system's footprint so that entry-level devices with 512MB of RAM could run this newer version of Google’s mobile OS. 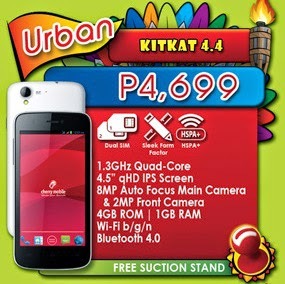 With Android 4.4 on its system, Cherry Mobile Urban gives us a treat for a very affordable price. Aside from the flashy OS, the phone sports a quad-core processor and a gigabyte of RAM. Check out specs below for more information.